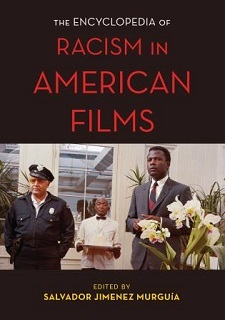 Editor Salvador Jiménez Murguia recently published The Encyclopedia of Racism in American Film (Rowman & Littlefield, 2018), a project that covers the breadth of material it promises and features work by several top scholars in film, including Film International Co-Editor Matthew Sorrento and contributor Tom Ue. Murguia discusses the project below. In the intro, you discuss your early love of Indiana Jones and how this eventually led to this volume. 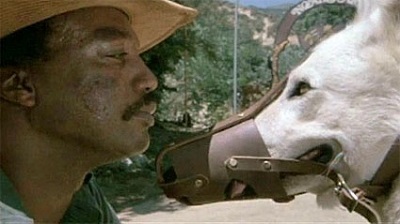 How influential was popular cinema in shaping your early impressions of racism in film? Did such an interest in art films come later? Well, my early impressions were really informed by life outside of the movie theater. I had a good understanding of what racism looked like in person and I was well aware of the racism that my mother’s generation and the generation before her endured – I think I was a pretty early student of the topic. Later, I had countless moments of realization that what myself or family of older generations had experienced in terms of race and racism was not that different from how it was being represented, misrepresented, or simply ignored in film. To not see yourself or anyone like yourself in one of the most advanced mediums of popular culture at the time, was a real indicator of what “mattered.” To be featured as promiscuous Latinos, violent gang members, drug addicts, ignorant, dirty and disheveled maids, farmers, bandits and buffoons, was the only way my community was depicted on the big screen. Of course, there was also exclusion, which meant you just didn’t see yourself at all. I think all that really had me questioning why I, and by extension, all people of color didn’t “matter.” Anyway, I don’t want this work to be just “about me,” so I’ll leave this question open a bit, hoping readers of this interview and the volume brings that subject of what matters or can matter to light. Which films were you most interested in addressing? I don’t think it was any film or films in particular that I was concerned with addressing, but rather it was more of an interest spurred by not seeing the explicit mention of “racism” – as opposed to how ‘race,’ ‘ethnicity,’ ‘culture,’ ‘multicultural,’ etc. were somehow stand-ins for a much more serious topic. Time and time again, I couldn’t stomach some of the films that I had viewed as racism-laden, milling them over and wondering when somebody out there would index all of that content that was seemingly being ignored or disregarded. In a lot of ways, it was apparent that interest in personal micro-aggressions associated with racism was on the rise, but when it came to popular culture, it just wasn’t part of the discourse. So, I gave it a shot and with the help of some great contributors, I think we added to, if not re-started a pretty important discussion. Which eras of American cinema intrigued you first? I’m forty now, so some of my formative years were the late 80s up to the turn of the century, and again, I felt like the films – as well as television and even some music – had this bizarre acceptability with regard to racism…it was kind of like face-to-face acts of racism could be criticized, pushed back against, and so on, yet films like Soul Man and the overt scenes of blackface were somehow “entertainment.” So, in terms of intrigue, initially it was really the 1980s and 1990s. How has your training in sociology inspired your treatment of the topic? Good question. Not all sociologists would agree (which is both understandable and a good thing), but I’ve always understood sociology as harnessing the unique potential to advocate for change, right a wrong, seek justice, etc. For me, that was one of the first things about sociology that made me register for classes, stay alert during lectures and, well, stick with it for the rest of my life. It’s my belief that applied sociology really can make a difference and I think it was fundamental in navigating the various obstacles I faced in this project. Incidentally, I’m writing a graphic text titled Sociology Can Save Your Life, wherein I feature various decision about how sociology can influence change. How did you come up with the suggested list? Have many standards, but other less likely, like The Outsiders, A Christmas Story, and The Departed. About 70-75% of the completed list was pretty much me keeping track of films that tugged at my gut. The rest were really contributors’ suggestions. In term of standards, I was more or less concerned with having the contributor make the case for racism. So, I wasn’t married to the list by any means, it was only a general outline of what I thought needed to be covered and after receiving the first round of submissions, I tried to view the works as if I were writing them and then ask myself, how can this piece draw upon the dynamics of racism in a more effective way. Again, the list, though preceding the submissions, was only secondary to them…if that makes any sense. Did other volumes (books) inspire the text? No, not really. As part of my instruction assignments, I teach introduction to sociology, race and racism, social theory and cultural sociology, and in this way, I cover a lot of different reads that become, over time, sort of second nature. I think the different conceptual ideas, works of other authors, and the like, just blend into both my writing and editing. That said, during the first few months of editing I was re-reading Dog Whistle Politics by Ian Haney López, and I’m certain he had some subconscious influence on ‘reading racism’ in film at that time. Can you discuss how you arrived to your three-category approach to types of racism in films? The three-category approach that I mention in the introduction is really somewhat of a mind-mapping strategy in accomplishing two objectives: creating continuity among entries and making this connection easy to understand for all audiences. On the one hand, I wanted to give all contributors something very simple that they could all agree upon and work to find some continuity between their different views of racism. I realized that there was a range of difference in characterizing how racism operates, and an even broader understanding in terms of how it operates in film, so I needed to give everyone some points of departure that we could all work with. On the other hand, I also wanted to make the volume easy and accessible to a general audience, keeping in mind that audiences may not have training in critical race studies, and rather than losing one to confusion, why not make the first hurdle an easy one. That said, to my knowledge this three-category approach is not a substantiated concept within the social sciences, but rather something that helped to organize the project in its early stages. How important is parody of racial identity to your approach? Well, in terms of this three-category approach, parodies of racial identity can arguably fit within all of them, to different degrees of course. In terms of their importance in this volume, they are incredibly important. In fact, after going through the multiple edits of this work, I realize I’ve been somewhat remiss in putting a together a more balanced picture of these parodies. Recognizing this shortcoming, however it really isn’t just making sure that all relevant information (entries) are covered, but also finding contributors with an interest in writing on a given topic and then doing so in a really effective way. On a side note, as of early 2016, I’ve been compiling a sociological history or “brownface” that I hope to complete and publish somewhere in the coming few years. Were the recent run of slavery-themed films especially inspiring to the project – 12 Years a Slave, Birth of a Nation, Django Unchained? Not necessarily. Although these slavery-themed films certainly mark a significant turning-point in what I think a lot of critics would regard as reengaging with slavery in a time when there are right-wing pundits flapping on about how American needs to move on. However, I also think something that this theme does generate is a complexity associated with differences in perception about how slavery can be represented or misrepresented. I’m thinking back to Spike Lee’s criticism of Django Unchained and how that conjured up a rethinking of the gaze, representation and entitlement to take on this subject matter. In other words, the productions themselves were certainly of interest, but the debates engendered by them was much more significant to me in proposing this project. You have done other work in encyclopedias on film. Do certain aspects of this approach interest you, aside from the obvious appeal to breadth of coverage? I think so much of my interest in these types of edited volumes is really multifaceted. To begin they provide an opportunity to advance so many different perspectives. I hate the pretense of terms like “expert in” or “authority on” a given subject matter. These volumes give me, and later the readership, a real sense of the diversity of knowledge out there, as opposed to coming from some self-proclaimed specialist that can somehow explain everything in one monograph. I also think these volumes fit a niche that is growing among undergraduates that are looking for a lot of information in one place. I discourage my students from ever taking a look at Wikipedia, because anyone can jump in and write anything and when students cite this, I cringe. Nonetheless, this practice of looking for it all in one place tells me that encyclopedias – especially those of less traditional encyclopedic topics – can really grab the attention of the internet savvy generation of students. Lastly, there’s really something to this democratization of knowledge that I think can be packaged up quite nicely in these volumes. Of course, the angle of racism, horror, sexism, etc. sews them altogether, but there is really a lot of content that can be delivered in a really streamlined fashion and trying to pack this much information into any one monograph just wouldn’t be feasible in my mind. So, these volumes really do allow for more of that bigger bundle of information to land in one place, so to speak. Salvador Jimenez Murguia is associate professor of sociology at Akita International University. He is the editor of The Encyclopedia of Japanese Horror Films (2016) and the coeditor of The Encyclopedia of Contemporary Spanish Films (2018), both published by Rowman & Littlefield.